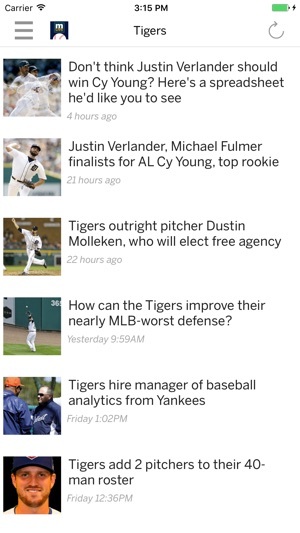 The MLive.com: Detroit Tigers News app gives Tigers fans exclusive access to the latest news, videos and photo slideshows from MLive.com. Read breaking articles about the Tigers and other rival teams, catch live Twitter updates from fans and experts, and submit photos from the game. 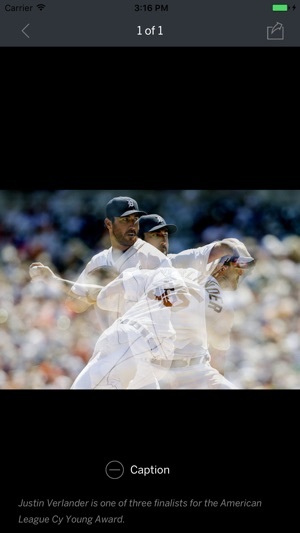 Enjoy this app at the game, the tailgate party or when hanging out with other Tigers fans! PLEASE NOTE: This App is developed and published by Advance Digital Inc. and MLive.com. 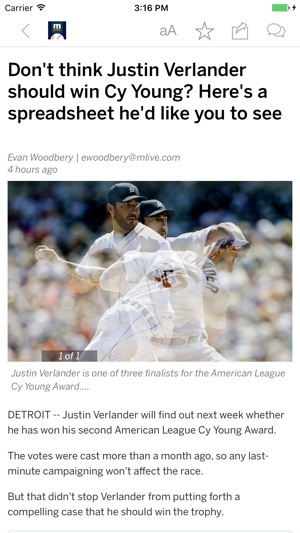 The App is not endorsed, licensed or sponsored by the Detroit Tigers or Major League Baseball Properties, Inc.
You know, I was just saying the other day how much I dislike having my Detroit Tigers news presented in such an attractive, user-friendly, and no hassles format. I thought to myself: "Reading my baseball updates on this MLive app is just way too easy. Why can't the developers come up with something far less appealing--maybe with a glaringly white backdrop, thinner and smaller font, and TONS of ads right smack in the middle of the news so that the simple act of scrolling down the page becomes filled with glitches?" Well, lo and behold, the app has now been "fixed", as the latest update has provided me with all that I ever wished for and more. This is clearly NOT a case of bored developers sitting around and basically inventing problems with the MLive sports apps that just "had to" be solved--oh no. No, *this* is exactly what we Detroit fans have always dreamed of: an app with an unappealing layout and ads as far as the eye can see! Thank God our long national nightmare of simple access to sports articles is finally at an end. This could be a great app with a few minor tweaks. For example, why isn't there a 'back' button? If I click on an article, I'd like to go back to the main menu after reading it. Without a back button, I have to shut down and restart the app if I want to continue using it. Also, why isn't there a 'refresh' option? I would love to be able to simply refresh the page to receive an updated score, but again, I have to shut down and restart. Why would anyone develop an app like this? Great content, poor design. It's just okay. There's no live scoring, no who's up or how many out. Doesn't even tell you who's winning! Giving me a 2-0 score in the top of the 7th by itself doesn't tell me anything. The app itself is very slow and the twitter feeds don't even give me a clue as to what has happened so far in the game and are updated infrequently. I'll be looking for a different app.